Attention parents: If you have small children, you need to know about the new Pennsylvania car seat rule that will go into effect this summer—a law designed to help better protect your most precious cargo. Currently, the law requires that all children ages 4 or younger be secured in a child restraint system while being transported in a motor vehicle. Missing from the current law, though, is a requirement that the car seats used be facing a particular direction. The newly approved legislation, now known as Act 43, requires children younger than 2 to be fastened in a rear-facing child restraint system until they outgrow the maximum weight and height limits set forth by the manufacturer. Safety experts—as well as Pennsylvania Gov. Tom Wolf, who signed the bill into law earlier this month— praised the change, saying it would help further protect some of Pennsylvania's most vulnerable vehicle passengers. State Sen. Pat Browne, a Republican serving part of Lehigh County, said in his co-sponsorship memo that the new law better falls in line with safety recommendations set by the America Academy of Pediatrics (AAP), which stress that rear-facing child seats offer better protection to a child's neck, head and spine. The bill goes into effect 60 days after its signing—Aug. 12. For the first year, only verbal warnings will be issued to those who are not compliant with the new law. According to the Centers for Disease Control (CDC), 638 children died in motor vehicle crashes in 2013 while riding as passengers. Sadly, of the children 12 and younger who died in those crashes, more than a third—38 percent—were not properly restrained. The importance of parents using rear-facing car seats for their young children became a national discussion in 2011, when The American Academy of Pediatrics changed part of its car seat guidelines—advising parents and caregivers to keep their little ones in rear-facing seats until they're at least two years old. The guideline changed following a 2007 study that found children younger than 2 are five times more likely to be killed or seriously injured in a car accident while in a front-facing car seat than a rear-facing one. The reason, safety experts explain, is that rear-facing seats more equally distribute the impact of a crash, which better protects children. Be sure to send in the registration card that comes with your car seat so you will be kept in the loop about any defects or recalls. Be sure you understand the instructions for installing a car seat. 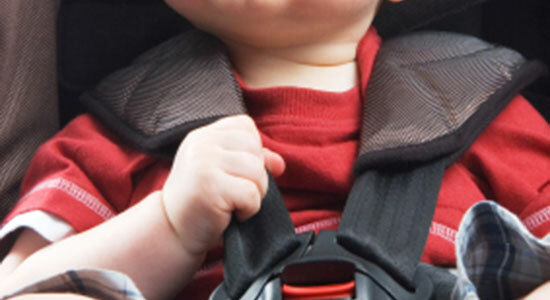 Read instructions from both the manufacturer of the car seat and your car's owner's manual. Be sure the seat is the appropriate size for both your child and your car. If there's any question whether the seat is properly installed, take a trip to your fire department or police station—they will ensure the seat fits properly.